Glenn Delfish has over 17 years of experience in the fitness industry. Glenn received his Personal Training Certification in 1999 through the National Academy of Sports Medicine (NASM). 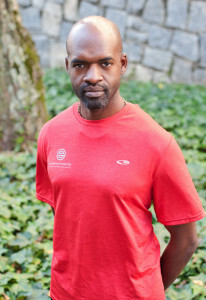 Glenn is also YogaFit certified and has been an active yoga instructor for over 15 years. In 2007, Glenn became a certified massage therapist through the Atlanta School of Massage. Glenn holds a Bachelor of Science Degree from the University of Buffalo in Biology and Environmental Science, but found his true passion in the fitness industry. Glenn’s Philosophy: Movement is healing and exercise should serve as therapy – whether it helps you de-stress and relax or enables you to do the things that you enjoy in life.